Frederick A.O. Schwarz Jr., the author of the new book “Democracy In The Dark," joined NPR's Diane Rehm to discuss the culture of secrecy in the American government, from the FBI's attempt to bring down Martin Luther King, Jr., to the CIA's secret torture programs. For the first time, the full range of American history is viewed through the lens of secrecy in Democracy in the Dark: The Seduction of Government Secrecy (The New Press, 2015). Frederick A.O. 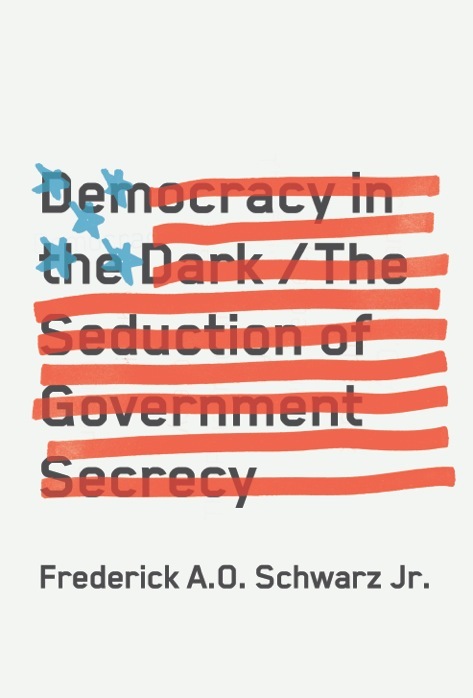 Schwarz Jr.'s important new book illuminates one central question: how much secrecy does good governance require? Frederick A. O. (“Fritz”) Schwarz Jr. is chief counsel at the Brennan Center for Justice at NYU School of Law. He was chief counsel for the U.S. Senate’s Church Committee, the chief lawyer for New York City, and chair of its campaign finance board and charter revision commission. For many years, he was a litigation partner at Cravath, Swaine & Moore. He is also a co-author of Unchecked and Unbalanced: Presidential Power in a Time of Terror (The New Press). He lives in New York.